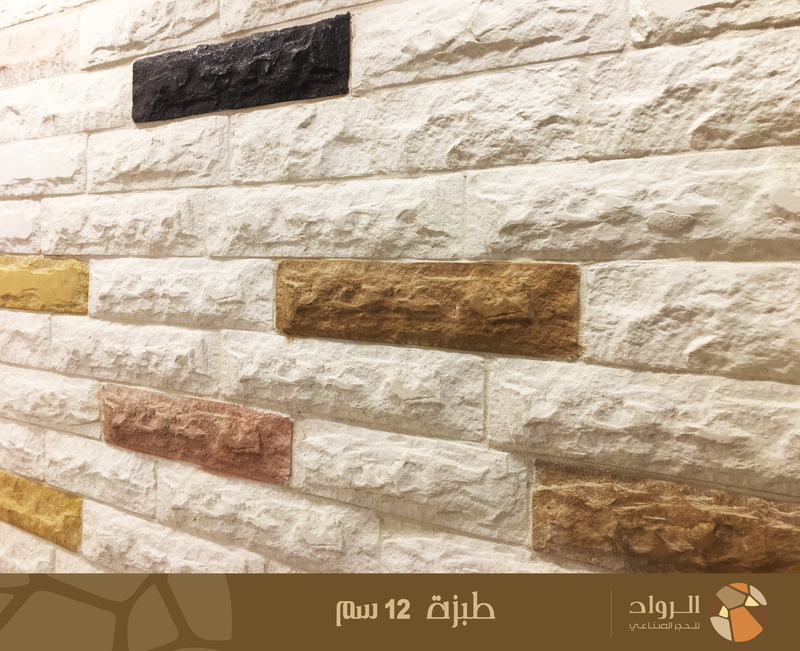 Chiseled or (Tobzah) stone texture is available in heights of 12 and 25 cm. All accessories and colors are available in this texture. 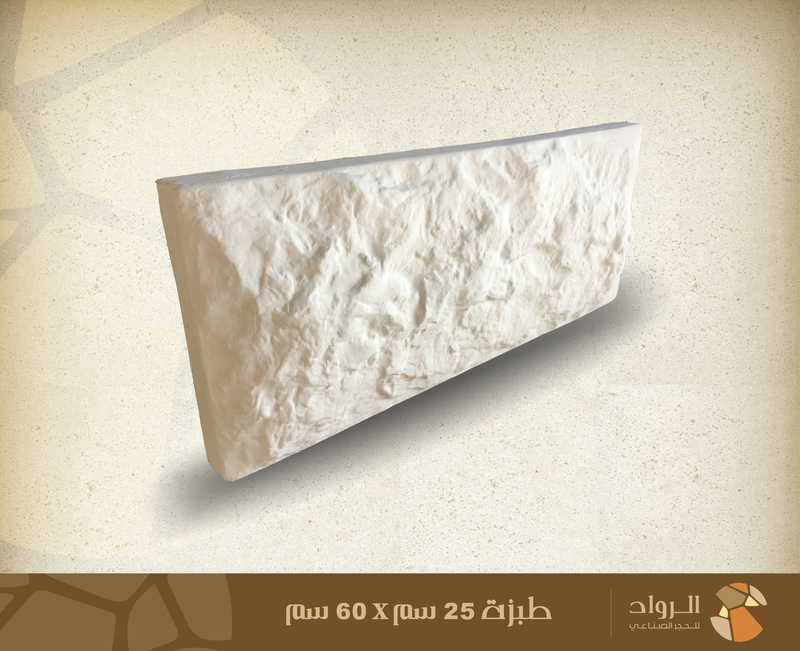 Cost reduction can reach up to 60% with Alrowwad Cast Stone compared to the equivalent top natural stone. 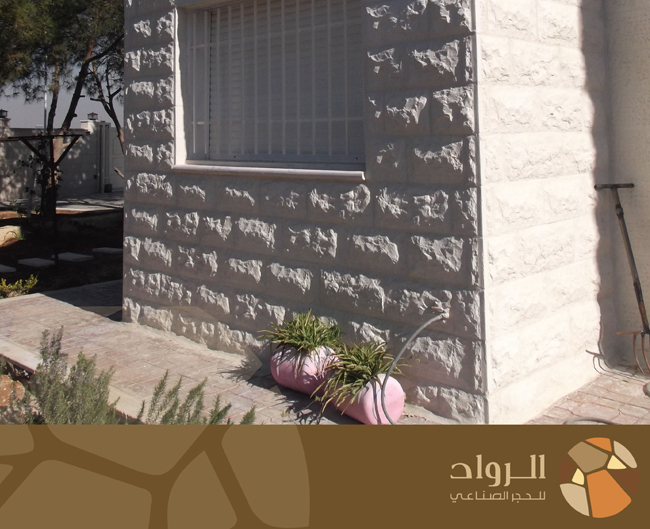 Alrowwad building cast stone company was established in 2008 in Amman-Jordan, to serve clients that wish to clad their commercial or residential buildings with high quality stone throughout all the major cities in Jordan; Amman, Al-Salt, Irbid, Karak, Jerash, and Ajloun. Alrowwad cast stone company seeks to deliver the best quality artificial and cast stones in the construction market terms of high strength and abrasion ratio, and low water absorption and thermal conductivity. © 2018 Alrowwadstone. All Rights Reserved.